Ben and family run Beggarbush Gundogs a true family business. We all share the passion for working dogs. Joe and Jack our two young boys enjoy the dogs / puppies and training as much as us all. 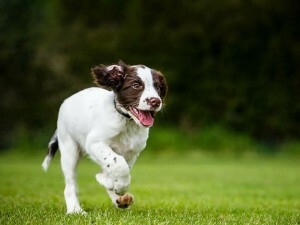 We have invested in premium facilities making Beggarbush Gundogs one of the stand-out Gundog centres around. Clients visit from all over the world to train and learn from Ben. After another amazing training session I felt compelled to write short piece on my experience working with Ben Randall that would hopefully help others do the right thing and sign up for some training while also thanking him for what he has helped us achieve. 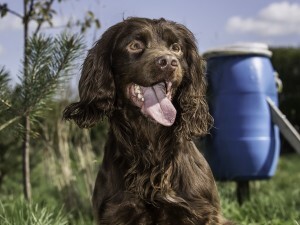 My journey with Ben and Beggarbush Gundogs started from an Internet search to look up the guy who had achieved so much following a day from hell with my 16 month Springer Spaniel. After a whole year of training with my local club and a number of “experts” Bracken was nothing short of a nightmare. He wouldn’t heel, he ran in on everything, his nose completely ruled his actions and it looked like he was too hot to handle. At the end of my tether the only option left was to seek out a real expert and after an extensive search felt that Ben’s CV in this field could have only been achieved by an expert. After reaching out to Ben he suggested an initial 2 hour assessment and lesson which I took him up on. I can honestly say without any hesitation, the best decision I’ve made in my field sports life to date. From arriving at Ledbury Lodge Kennels, the home of Beggarbush gun dogs, until today I have been impressed further and further. The facilities at Ledbury Lodge are first class and provide everything from comfortable tweed couches for the initial consultation and coffee, to the training facilities with cover, retrieving lanes and water. Beggarbush certainly has everything needed to get the best out of the sessions. After speaking with Ben at length about where we were with our training and advising Ben I wanted an all-round Springer that could stand on the peg with me as well as shooting over him, beating and a bit of picking up, I expected Ben to try and lower my expectations. He reassured me it was achievable but laid out in no uncertain terms that it would require going back to basics to ensure we had all the right building blocks to bring together for the field. We spoke at length about Ben’s bespoke training methods, the theory, dog psychology and experience to explain how and why it worked (suggest speaking to Ben directly for details) and I went home with lots of exercises and work to do following Ben’s foundation training. On September 9th Bracken stood with me for 5 drives while my wife enjoyed her first day of the season, Bracken was off of the lead all day. We were fortunate enough to have a few more days out through the season, Bracken was with me on all of them and was a joy to be with and we received a number of positive comments, about Bracken, unfortunately not about my shooting!! On October 5th were given the opportunity to go out beating on a hugely well respected Estate in the Cotswolds. This particular estate is known for its exceptionally well presented birds and no nonsense keeping. 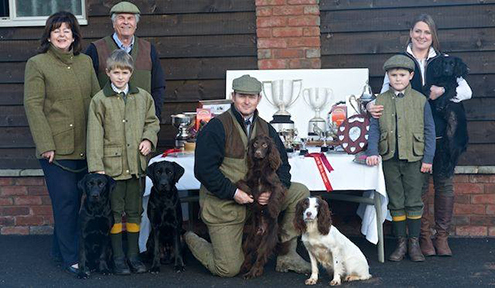 We were invited back and went on to be presented with Beater and Dog of the year at the Shoot dinner. 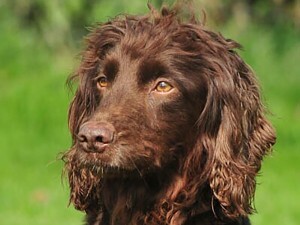 The gamekeeper praising Bracken specifically as one of the best dogs he’s seen for 20+ years in the field. I genuinely can’t believe how far Bracken and I have come under Ben’s guidance. It’s been an incredible journey and education that has completely opened my eyes and shown me what training a dog is really about. It’s not just a series of repetitive exercises that they slowly learn. It’s a complete ethos combing specifically designed exercises that come together to give the dog and handler the right skills and importantly relationship to perform in harmony in the field. 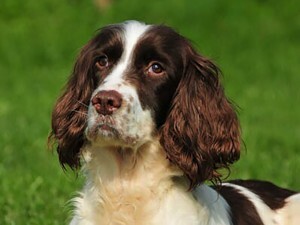 We also now feed our dogs Kronch ‘Beggarbush Champions Choice’ specifically developed by Ben for working dogs. It has given all our dog’s incredible coats that keep them warm and dry on the cold wet days and keeps them with drive and power from early till late, some weeks 3-4 days in a row. Needless to say, I can’t speak highly enough of Ben Randall and Beggarbush Gundogs. We now train all our dogs with Ben and all are seeing the same amazing progression even though they are three of the most different dog personalities you could find. Ben really does appear to have seen it all and is able to keep making suggestions and giving little hints and tips that always allow for an answer to the varying degrees of problems we come up against. Whether the dogs are out as a pack with the family on a relaxing walk, individually training or working on a shoot, we are regularly asked for advice on various training needs and I am now confident to help anyone……….call Ben Randall at Beggarbush, he will sort it!!!! Without any reservation I would strongly recommend Ben Randall and Beggarbush Gundogs for a complete training and development experience to suit any level and dog training ambition. As I have said on more than one occasion. Thanks Ben, you have completely changed our field sporting lives to such a huge degree. Long may it continue and with the new dogs too.